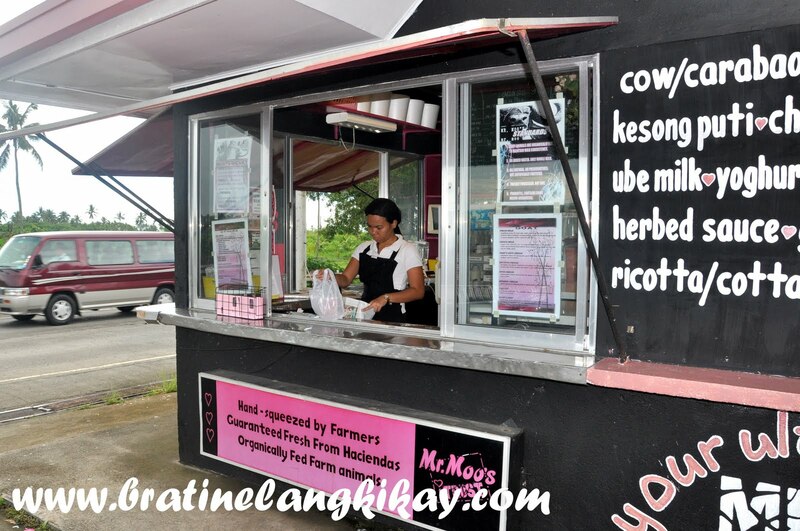 Just when I thought I have tried Tagaytay's best and finest, someone whispered to me that perhaps not all since I haven't tried the best kesong puti. Kesong Puti (white cheese) is fresh, soft cheese and usually paired with hot pan de sal. 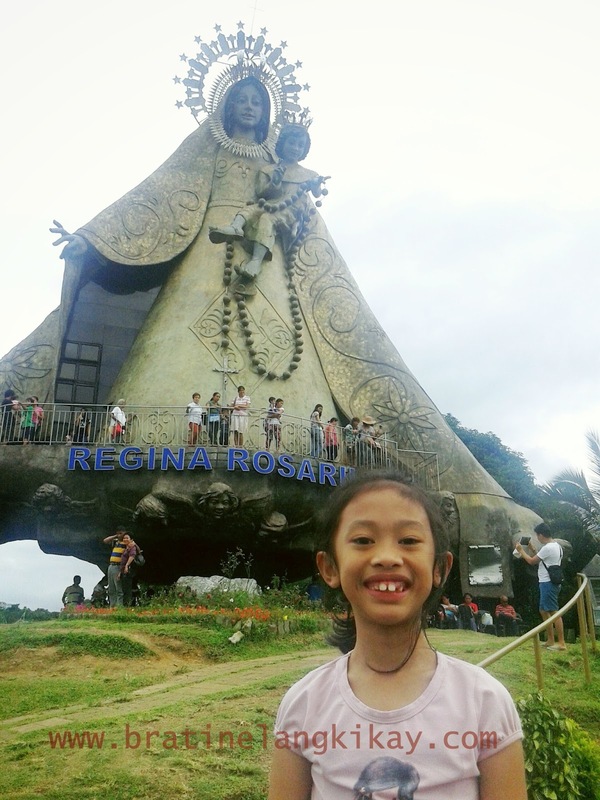 It is made from fresh cow's milk, salt and a coagulant called rennet. 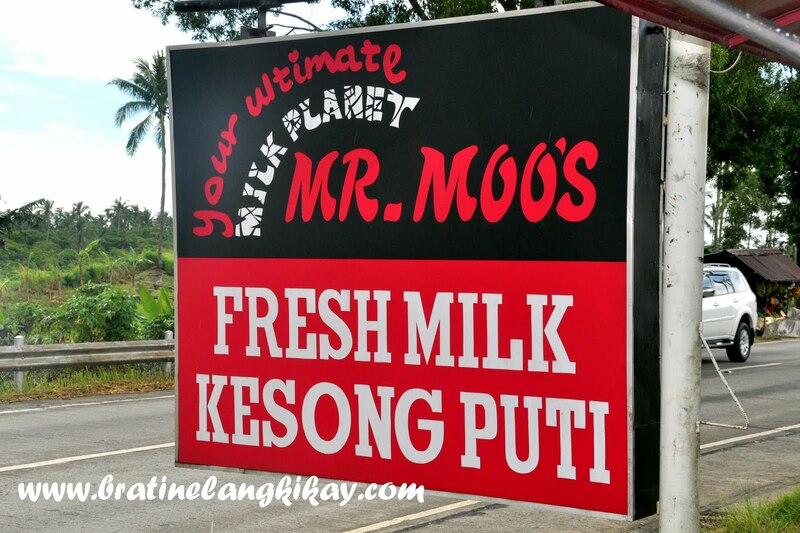 The mere thought of kesong puti made me crave for its slightly salty, rich and creamy taste so I made sure we stop at Mr. Moo's Fresh Milk and Kesong Puti on our way back to Manila. 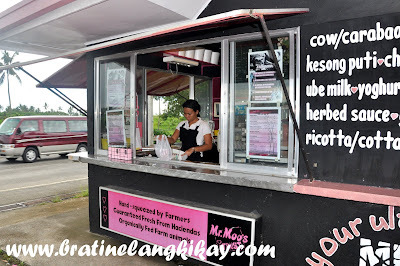 The stall can be pretty easy to miss going down from Tagaytay to Sta. Rosa Exit, one must really keep an eye and spot the colorful signage. Try not to miss it, but be careful as well when negotiating to stop as the road is down hill and it's along the highway! Any cheese, no matter how delicious, is not worth your limbs. 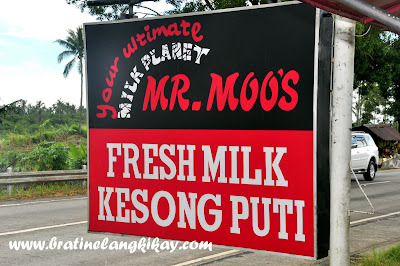 Mr. Moo's sells fresh milk, cheese, yogurt, and other milk by-products from cow, carabao (Philippine water buffalo) and goat. The milk are guaranteed fresh and hand-squeezed by farmers (now this made me chuckle, hehe). The sales lady said the animals are organically fed to ensure high quality and abundant production of milk. 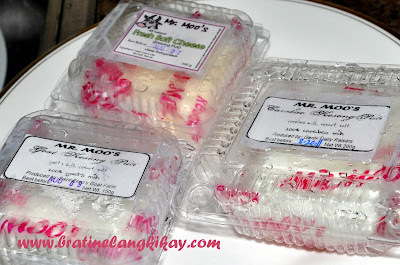 ﻿﻿﻿I only bought what I came for, my precious kesong puti, which the sales lady wrapped carefully and packed with tons of ice to retain its freshness (the milk didn't go through UHT) 'til we get to Manila. That's so nice and responsible of them to take that initiative even if customers didn't ask them to. I got all three variants. It's my first time to try kesong puti made of carabao's and goat's milk. 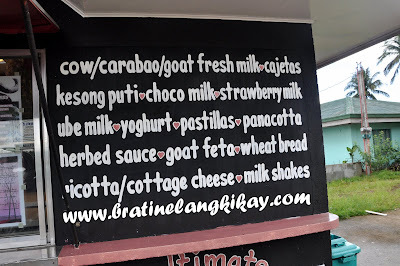 Honestly, I had second thoughts if I'd buy the goat cheese but my mom said it's the healthiest of all milk and contains the least amount of fat compared to that of cow and carabao. My verdict? They were indeed the best - fresh, smooth and tasty. 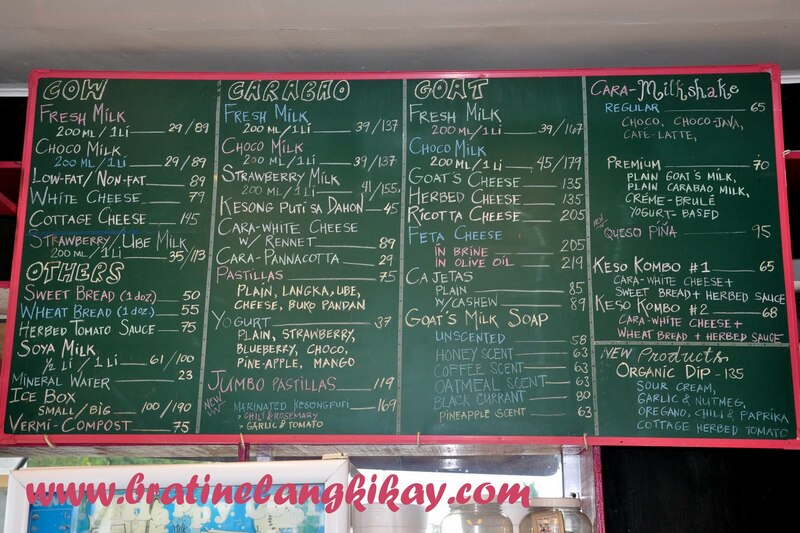 The cheese from carabao's milk has a slight bitter taste but it's creamier. 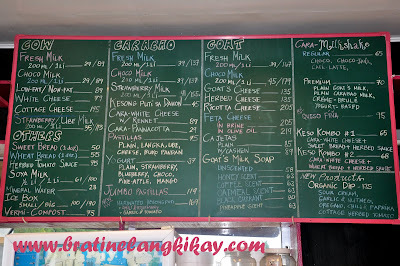 The goat's milk is a bit bland at first bite but boasts a very smooth texture and leaves a cheesy yummy after-taste. 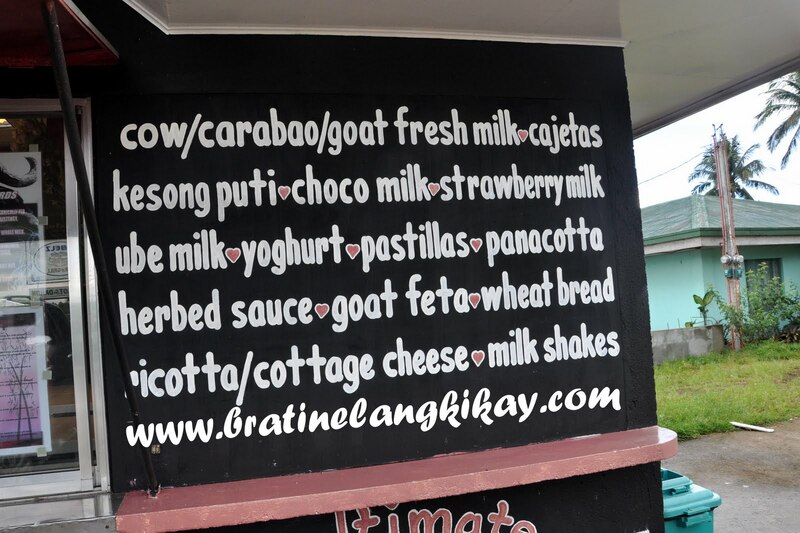 I was lucky curiosity got the better of me and I bought goat's kesong puti. Zsa Zsa Zaturnnah, Ze Koloring Book!